5548 N. Farmer Branch Rd. No appointments needed. 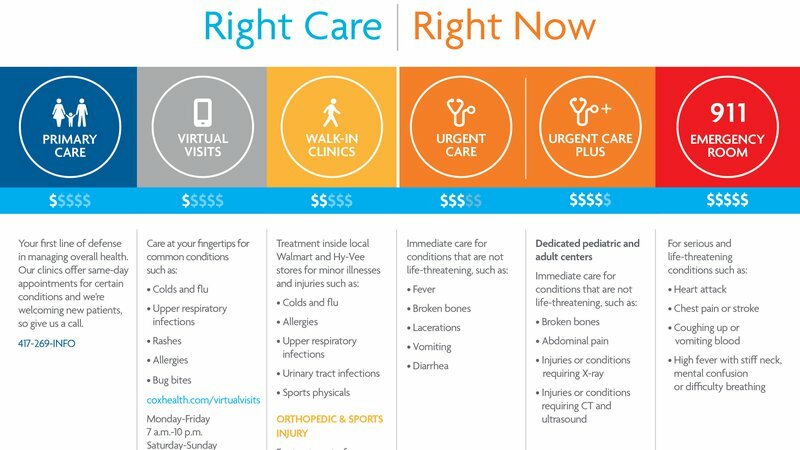 Urgent Care is available when you need care for nonlife-threatening illnesses and injuries. CoxHealth Urgent Care in Ozark, Missouri. is staffed by physicians and nurse practitioners. With advanced laboratories and diagnostic imaging technology, there's no need to go from place to place to complete your care. If a higher level of care is needed, immediate transport is available.